Due to unforeseen logistical issues and filming commitments the WOS events in Aberdeen and Scarborough have been sadly cancelled. We'll add details of any new events here. 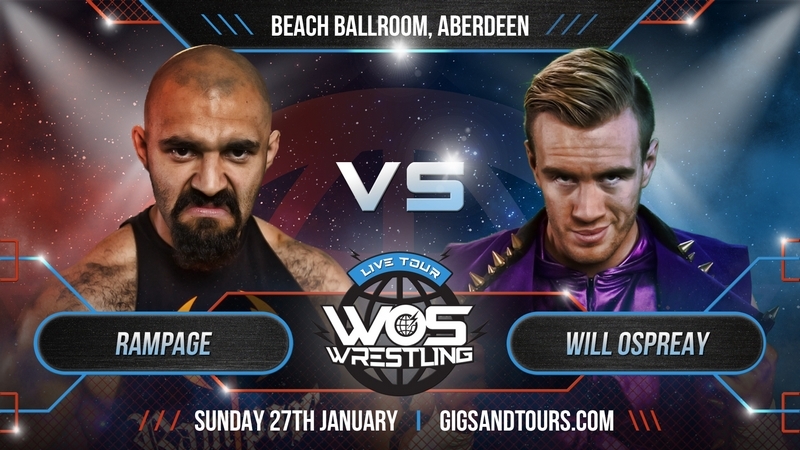 ‘The Aerial Assassin’ Will Ospreay will make a rare appearance in Scotland as part of the WOS Wrestling LIVE event at the Beach Ballroom on Sunday January 27th 2019 – and his opponent will be the rugged former WOS Wrestling Champion Rampage. 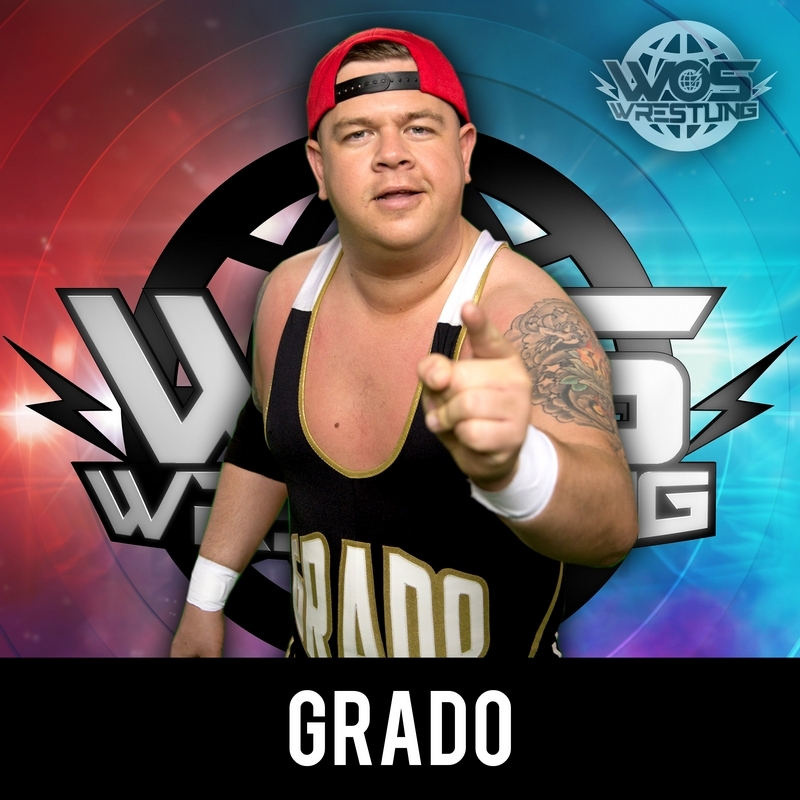 Some of Scottish wrestling’s biggest names will also be part of the Aberdeen show - the only 2019 WOS Wrestling UK Tour date in Scotland - including the mega-popular star of hit TV shows Scot Squad and Two Doors Down, Grado. 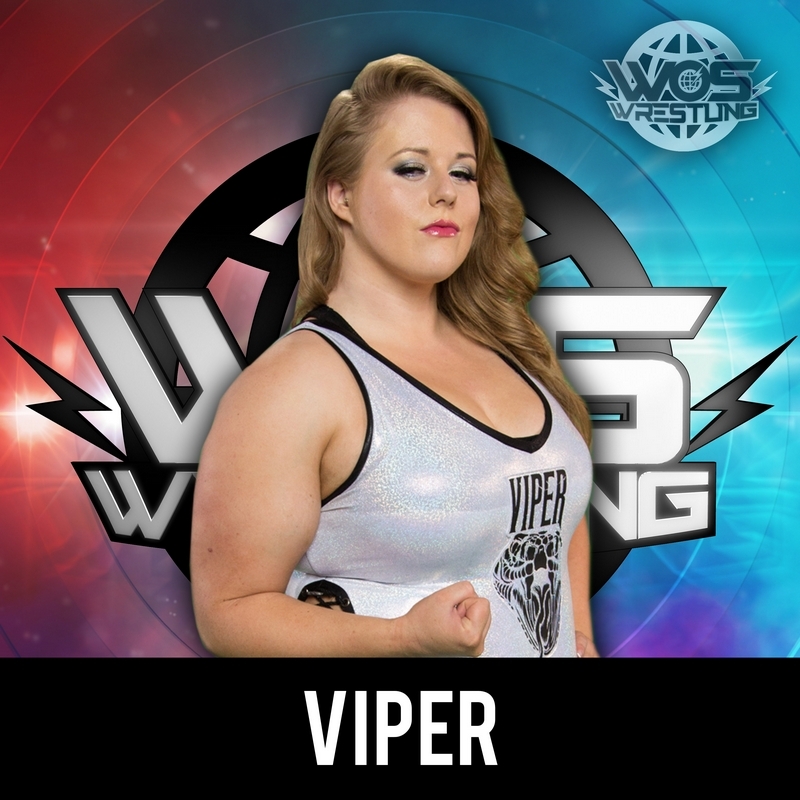 Also on the bill will be Viper - star of acclaimed BBC documentary Fight Like A Girl – and her arch-rival the WOS Women’s Champion Kay Lee Ray. And the only professional wrestler to also become a two-time British amateur wrestling champion, ‘The Prestigious One’ Joe Hendry, will also be part of the show. Will Ospreay vs Rampage in Aberdeen is the first bout to be announced for the tour which will travel to venues all over the UK. Ospreay wowed viewers of the Saturday afternoon WOS TV series this summer with his astonishing athleticism and daredevil moves. A human highlight reel of gravity-defying flips and tricks, ‘The Aerial Assassin’ is a huge favourite with wrestling fans the world over. The Essex man is an astonishing talent – the only Brit ever to win the prestigious ‘Best of the Super Juniors’ wrestling tournament in Japan and is a two-time IWGP World Junior Heavyweight Champion. But the Essex risk-taker will need all of his breath-taking natural gifts if he is to take down the rugged Rampage in Aberdeen. The rough and tough Yorkshireman won the WOS Championship in Week 1 of the historic WOS television series which marked British wrestling’s return to ITV for the first time in 30 years earlier this year. Rampage, with the help of his cohorts Sha Samuels and CJ Banks, then ran through a who’s who of tough challenges before finally coming unstuck in a climactic showdown with ‘Superhuman’ Justin Sysum – who defeated the Leeds hard man in a stunning season finale to the ITV series. Now the former champion is looking to take out his frustrations on all-comers who may cross his path on the WOS Wrestling UK tour and Will Ospreay will be the first man in his sights. Other names already announced for the tour, which begins on January 18th in Southampton, include the WOS Champion ‘Superhuman’ Justin Sysum, the 36 stone Monster Crater, former Love Island contestant Adam Maxted, his arch-rival and former tag team partner ‘The Showstealer’ Nathan Cruz, ‘The East End Butcher’ Sha Samuels, the masked high-flyer Robbie X and many more! More matches to be announced soon as the WOS stars bring the very best in LIVE British wrestling action to Aberdeen! Tickets available now for tour dates at Southampton Guildhall (Jan 18), Newport Centre (Jan 19), Stoke Victoria Hall (Jan 25), Blackpool Tower Ballroom (Jan 26), Aberdeen Beach Ballroom (Jan 27), Scarborough Spa Grand Hall (Feb 1), Derngate Theatre, Northampton (Feb 2) and York Hall, Bethnal Green, London (Feb 3).